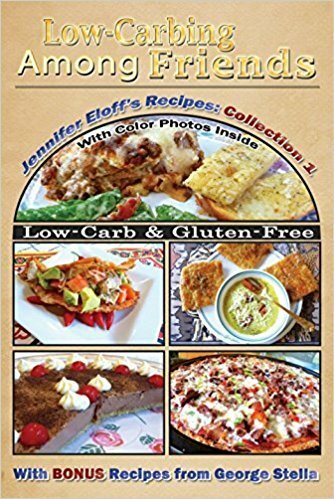 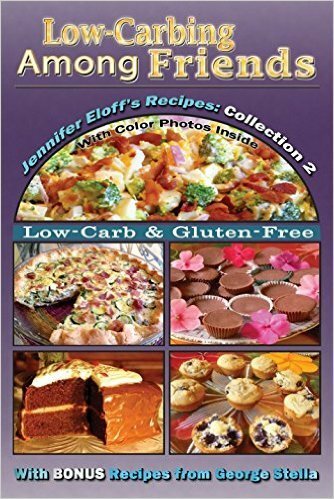 SPLENDID LOW-CARBING BY JENNIFER ELOFF: **LAST WEEK** to SAVE $5 on each of not just 1, but 2 BRAND NEW "Low-Carbing Among Friends" (the Low-Carb World's #1 Team's) Cookbooks! 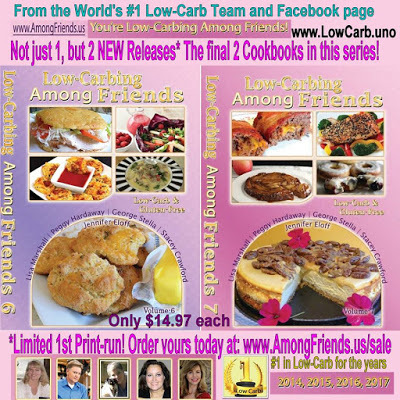 **LAST WEEK** to SAVE $5 on each of not just 1, but 2 BRAND NEW "Low-Carbing Among Friends" (the Low-Carb World's #1 Team's) Cookbooks! 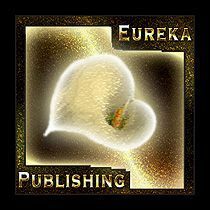 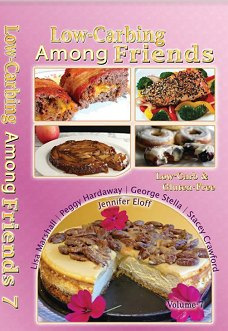 **SHIPPING HAS STARTED IN THE USA AND PEOPLE ARE RECEIVING THEIR COOKBOOKS AS I TYPE THIS! 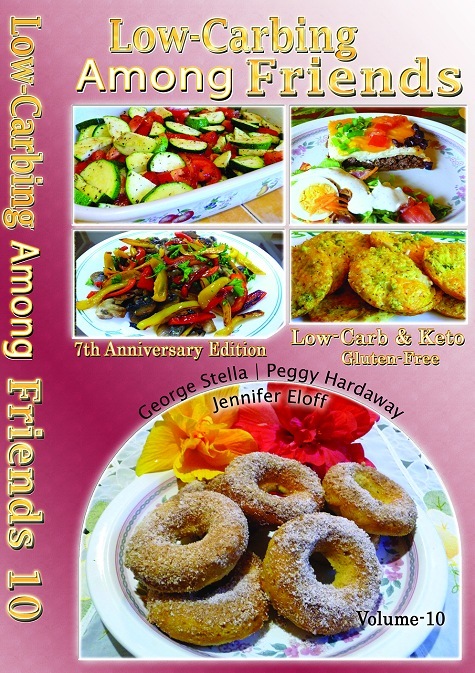 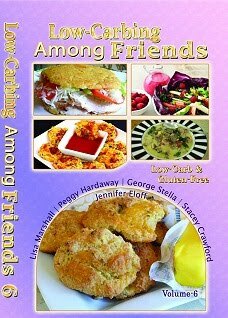 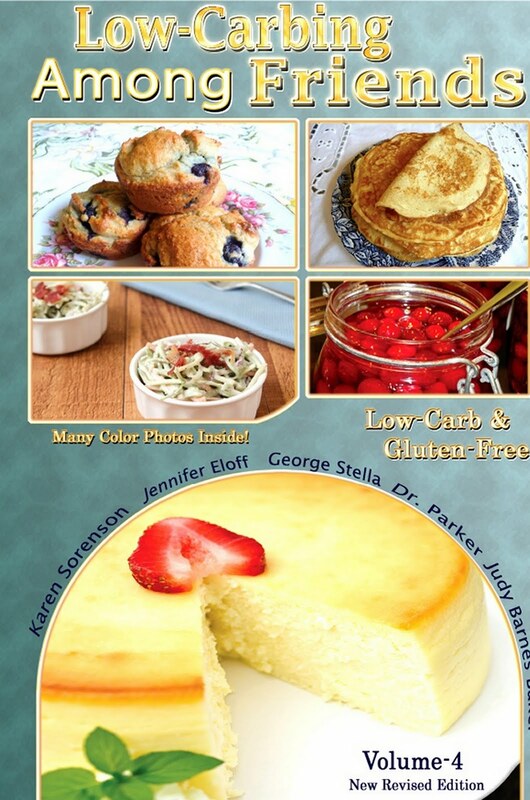 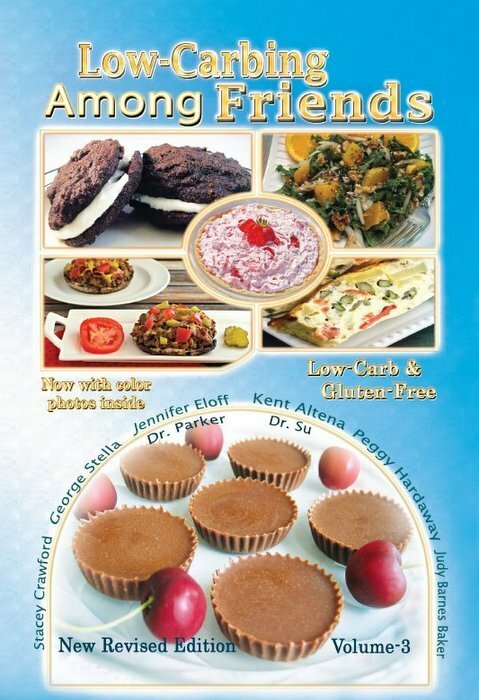 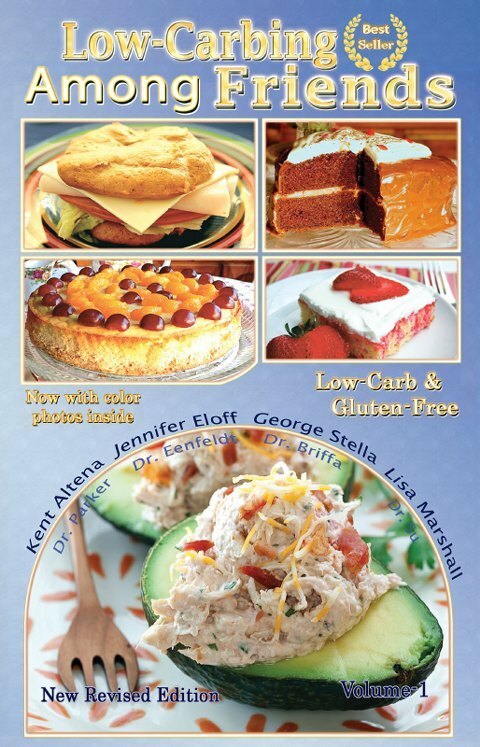 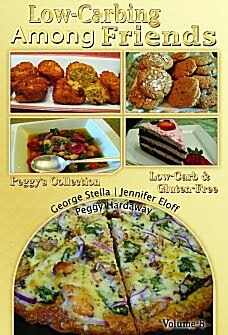 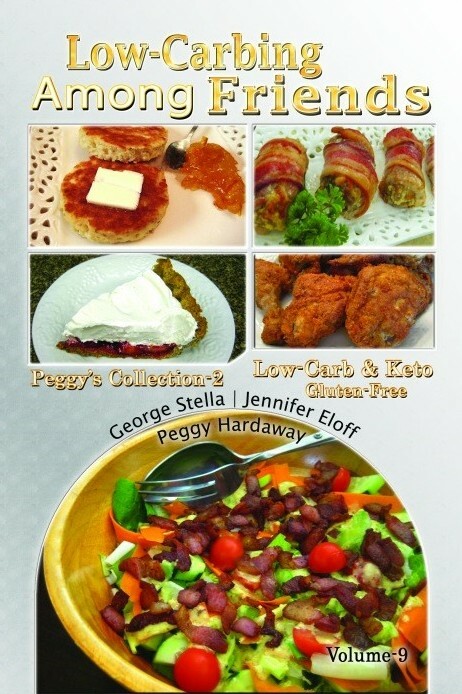 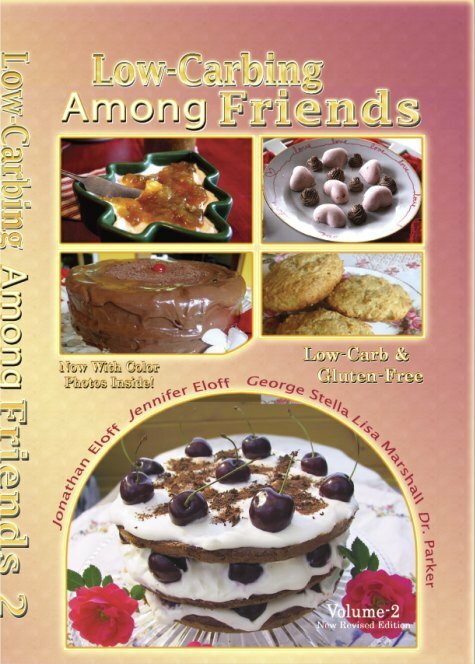 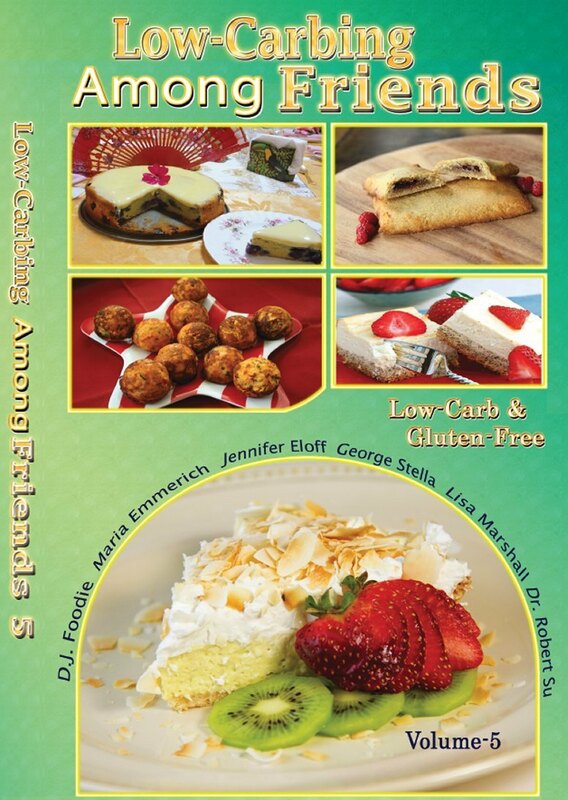 ** TWO (2) BRAND NEW "Low-Carbing Among Friends" Team Cookbooks, Volumes 6&7, with awesome Low-Carb (Gluten-free) Recipes by the World's #1 Low-Carb Team (for the last 4 years and counting) featuring George Stella, Jennifer Eloff, Lisa Marshall, Peggy Hardaway and Stacey Crawford. 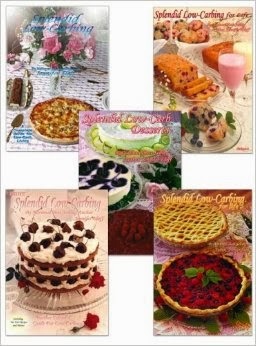 Over 100 Color photos, also available as SPIRAL BOUND so they lay flat in the kitchen!